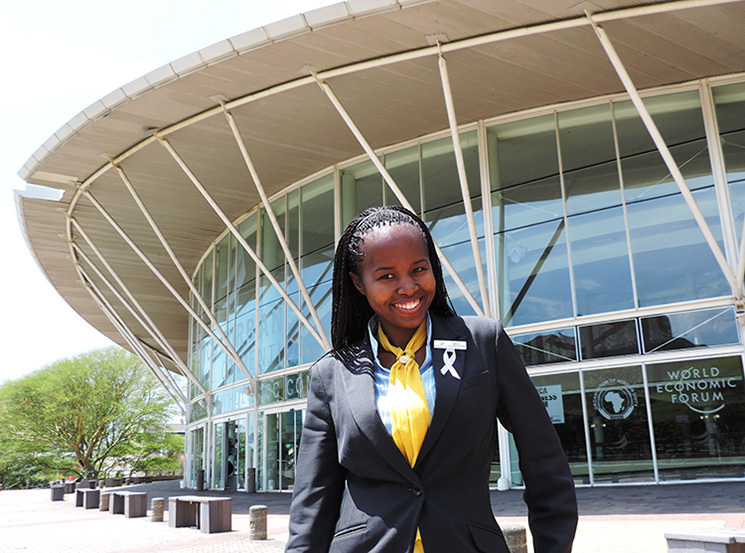 Mbali Hlongwane, Sales and Events Coordinator at the Durban ICC, has been selected by the American Hospitality Academy (AHA) for an 18-month internship in Florida. The internship is designed to give young professionals in the tourism industry the opportunity to add to their training and gain international work experience. Mbali underwent a stringent interview and selection process to be chosen from amongst thousands of applicants for the internship position. As part of her selection, the AHA has subsidized Mbali’s tuition and her cost of her visa. The internship programme provides advanced management training and the opportunity for work-experience in the Food and Beverage field. “We are all very proud of Mbali and whilst we will miss her dearly, we wish her every success in this exciting new chapter of her career. Mbali is testament to what can be achieved when someone takes the opportunities presented to them and applies themselves to the job at hand”, commented Julie-May Ellingson, Chief Executive Officer of the Durban ICC.